Huge congratulations to our Joint Chief Executive, Julie Hawker, on reaching this amazing milestone: 20 years at Cosmic….and counting. 1st February 1998 was the day I officially took up employment at Cosmic, having spent a few weeks previously getting to know the team and the work being planned. Having previously worked on local government IT and research I had an huge sense of freedom and possibilities. It took me several weeks to adapt to being part of a team which could make decisions in the same day, and get things done even quicker! And so began my wonderful, turbulent, exciting and rewarding Cosmic journey …. 20 years ago we were doing web production as a service to local, small businesses primarily in the tourism industry, and usually a brochure style HTML website. Early versions of MS Frontpage and Dreamweaver were used but even more importantly the young people we employed in this service honed their talents in coding and web expertise. One of the youngsters on that team we were building in 1998 was Ben and he joins me later this year in celebrating 20 years in our web team. We also trained people in the Internet Café in The Station (Ottery St Mary), and everything from basic use of computer, how to use the internet (bear in mind what the internet consisted of in those days of course), how to send emails and use basic MS Word, Spreadsheets and Databases which many local businesses and community groups were starting to deploy. The early 2000s saw some major new projects launched – including the wonderful ORBIT space shuttle mobile project in 2001 and the opening of Ridgeway House as our own training centre in 2002. This was the year I also took over as Chief Executive and we used these two major projects as the launchpad to many other initiatives and projects to achieve social impact in the years which followed. Being visionary and adventurous about the ways in which we achieve our goals has always been a strength for Cosmic, and of course that’s based on the quality of people (staff and directors) we’ve attracted and employed along the way. Moving into the latter 00s, and the celebration of 10 years of Cosmic we were able to reflect on how we’d also influenced national thinking about social enterprise and social impact. 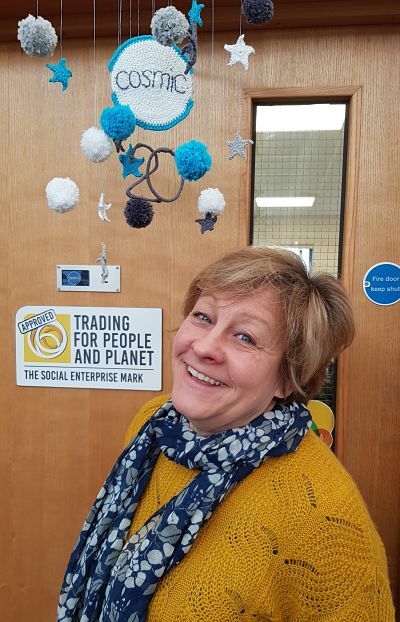 I had the pleasure of working with a small group across the UK as Social Enterprise Ambassador promoting the business model and using Cosmic as a real-life example of success, something which I’ve continued to do in government, education and business circles ever since. It was also in this time I became involved in regional support for social enterprise development, serving as Chair at RISE and then one of the founding member of the Social Enterprise Mark board. 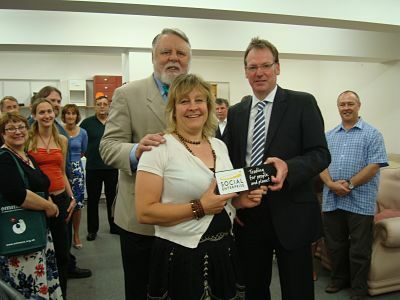 Cosmic contributed major amounts of time and support for regional and national developments and in my opinion was one of the key players in moving social enterprise upwards on many key agendas, most recently that of the LEPs in the area. I think these past 6 or 7 years have been even more exciting in so many ways. We’ve been able to build a bigger and stronger team and that also means we now offer a wider range of services and support to businesses, organisations and individuals. We’ve also experienced a period of time when using our own profits has given us the freedom to invest in those social impact projects which are closest to the heart of Cosmic, for example our commitment and investment in digital apprenticeships which resulted in many more businesses and training providers recognising the value and importance of this approach. Then in this past year we’ve sailed the Cosmic ship even further with new projects aimed at developing key digital skills for individuals, businesses and leaders. Our current digital skills focus and involvement in developing and launching a new digital skills partnership shows how Cosmic remains at the forefront of this agenda, with inclusion and support. Just as we did in 1998. Across all this time, there is major pride myself and my colleagues feel about the way in which we’ve stayed true to our social objectives. The originators and founders at Cosmic in those early years were highly committed to ensuring the business was successful, and a big part of success was the delivery of social impact. 20 years on we’ve supported tens of thousands of people and businesses across the South West and regularly renew our commitment to key social issues and the difference we can make. Cosmic has gifted me the opportunity to learn, develop, be challenged and grow. It has also put me in front of royalty, Prime Ministers and many politicians, senior business leaders - national and international. I’ve travelled all over the UK and even as far as Helsinki for work. I’ve been involved in the employment of over 80 people in total, and worked with some brilliant and dedicated individuals: colleagues, Board members and those in our partner organisations and networks. 20 years has gone far too quickly but I’ve spent a good deal of time this week smiling at the memories - and there have been loads! Chatting in the office yesterday about these 20 years, someone looked at me expectantly and suggested there are another 20 Cosmic years to look forward to... !